It’s hard to believe that Thanksgiving is only one week away. Are you ready? 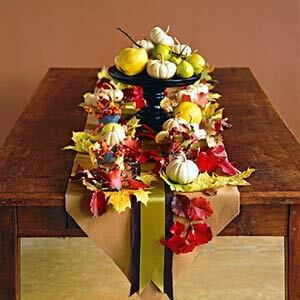 If you’re hosting, you’ll need to plan your Thanksgiving spread and seasonal decorations. Of course you can have your kids make the beloved “hand turkeys” or place a pot of mums and you’re done. However, if you’d like to spruce up your table settings or get crafty with the kids table, we have some ideas to share with you from some of our favorite sources. We are so grateful for other people’s great ideas. . . sigh. 6. 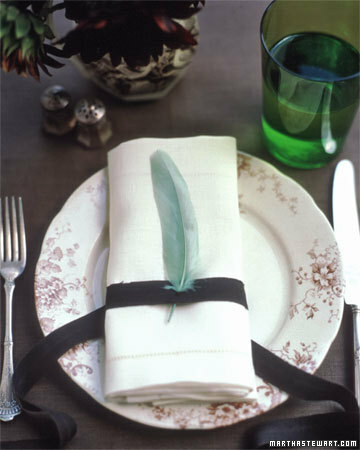 Saving the best for last, from Sweet Designs: Thanksgiving Crafty Roundup. 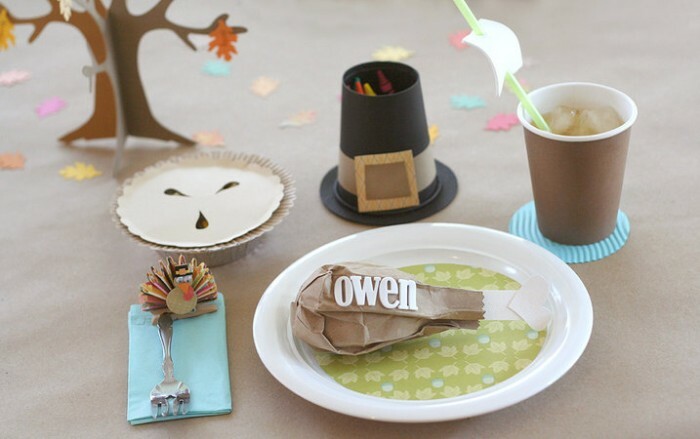 This is seriously the most adorable kids table setting we have ever seen. How can you resist a paper bag turkey leg?